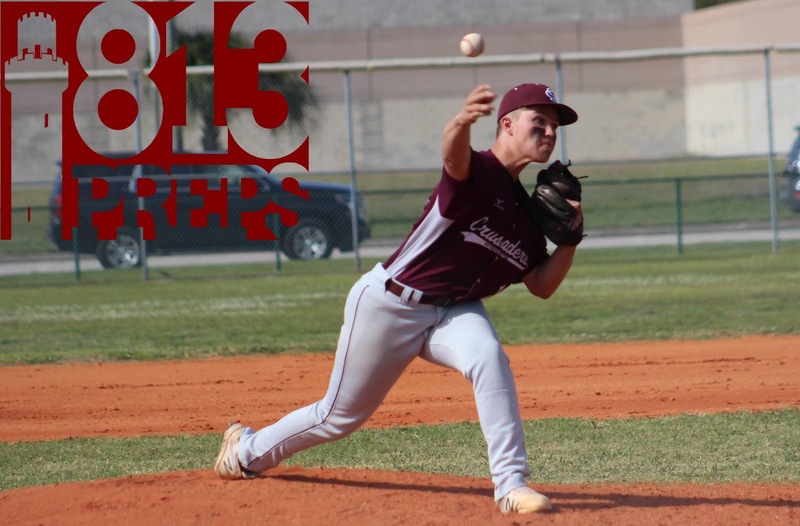 Seffner Christian sophomore Ben Cheek earned his first win of the season on the mound, tossing 5 2/3 innings, allowing just one run and striking out three as the Crusaders earned a district win over Cambridge Christian. 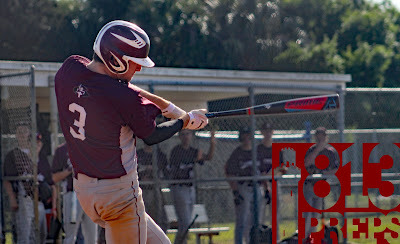 TAMPA – Seffner Christian pitcher Ben Cheek fought his way out of nearly every tough spot he found himself in as the Crusaders traveled to Skyway Park to face district foe Cambridge Christian, Tuesday afternoon. 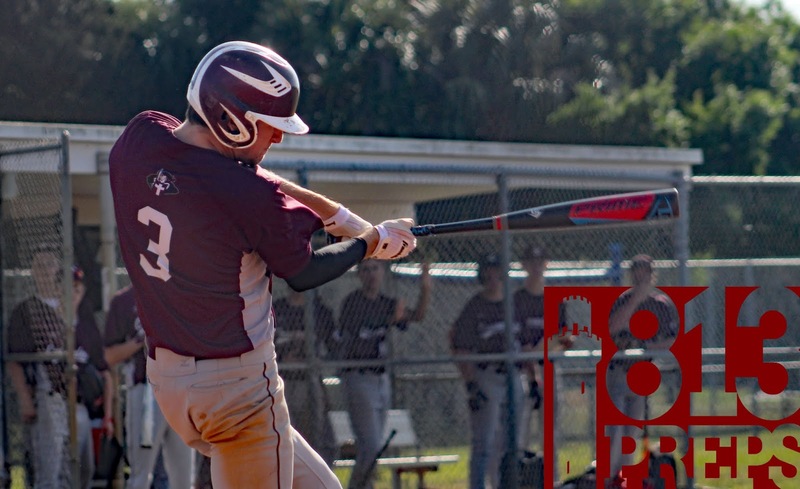 The sophomore right-hander, time-and-again found his composure and kept the Lancers hitters off-balance working 5 2/3 innings and helping Seffner Christian to a 7-1 victory. Cheek, scattered five hits across the first five innings, allowing just one run to the Lancers in the third when Josh Morin singled, moved to third on a Tilden Agee double, and scored on a Jonah Rawls RBI ground ball. 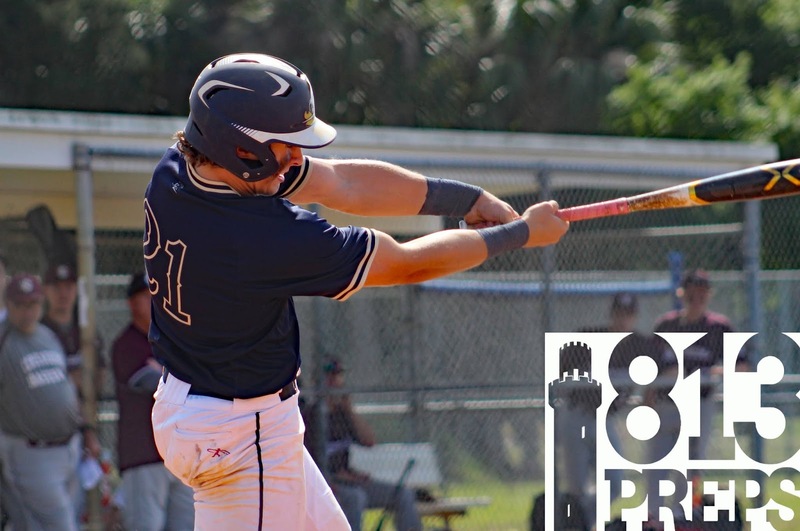 The rest was up to the Crusaders offense and Seffner Christian’s hitters, including Cheek, were able to apply pressure and take advantage of four Lancers errors to pull away. Leading things at the plate, senior Bryce Mitchell went 3-for-4, including a pair of RBI singles in the fifth and sixth innings. Mitchell said the offensive output is something he hopes his team carries on from its showing against Cambridge. Crusaders senior Bryce Mitchell was 3-for-4 with two RBI. 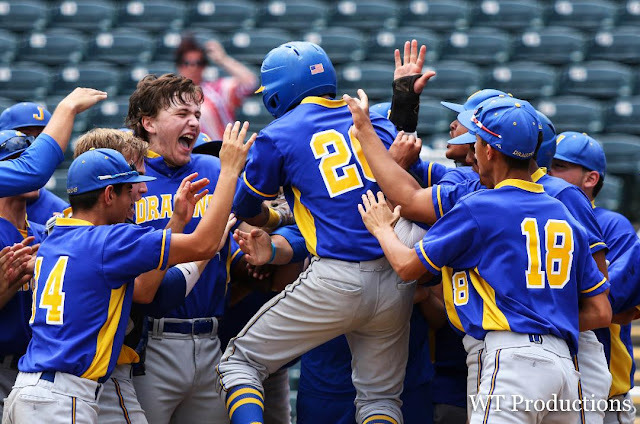 The support included runs put up by the Crusaders in the third, fourth, fifth and sixth inning, and the support was a confidence booster for Cheek, who himself had a pair of hits and an RBI single in the sixth. Seffner Christian junior catcher Daniel Tomasello. The defense for Seffner Christian (4-6, 3-1 in Class 3A-District 4) was solid all afternoon. 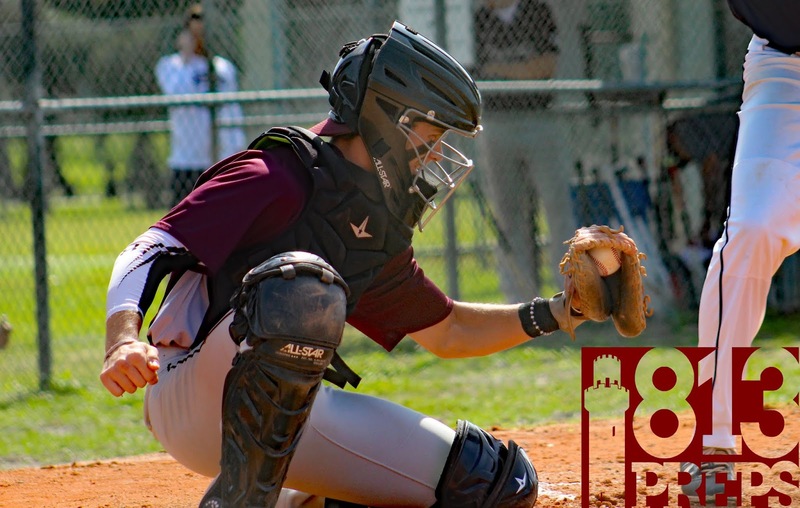 But the defensive play of the game belonged to Crusaders catcher Daniel Tomasello (2-for-3) in the sixth inning, when Cheek buried his curveball for strike three and the ball blocked by the backstop trickled down the third base line. Lancers speedy runner Jonah Rawls took off for first, but Tomasello busted off of one knee, collected the ball on the ground and rocketed a throw to first in a bang-bang play. 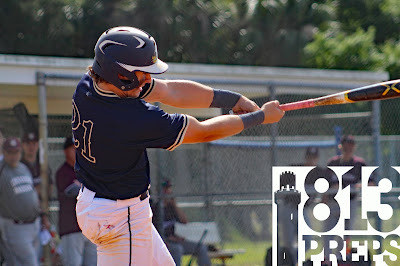 Cambridge Christian junior Tilden Agee was 3-for-4 with a double. 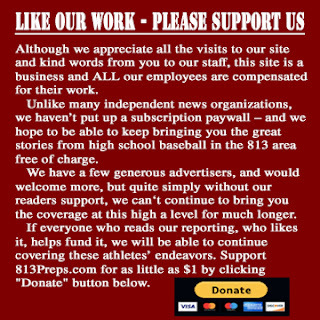 Agee led Cambridge Christian (5-6, 2-2 in 3A-4) with three hits in the loss, while Jacob Lightbody had a double and Julian Montes was 2-for-3.